Welcome to the 38th annual Bracknell Samaritans Run - Entries Now Open! 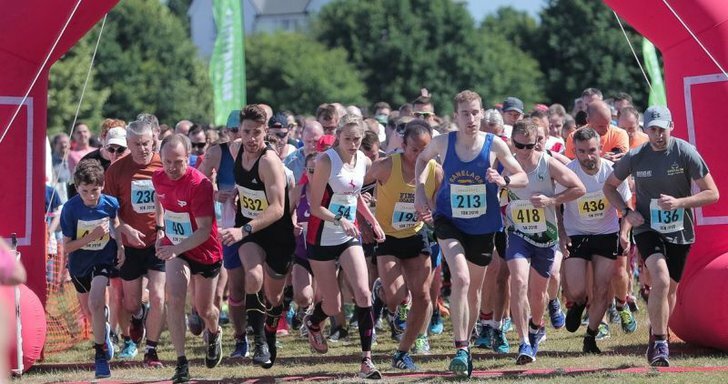 We are proud and excited to bring you the 38th annual Bracknell Samaritans Run on Saturday 29th June 2019, returning for the third time in recent years to Easthampstead Park Community School. This very popular local run is an important fundraising event for the local Samaritans Branch, based in Bracknell. The Bracknell, Wokingham, Ascot & District Samaritans Branch organises this amazing running event for the local community every year and all profits raised directly benefit the local branch. Samaritans offer a confidential listening service to those having thoughts of distress or despair, including those which may lead to suicide. Our local branch is fully operated by local volunteers and offers support to our callers 365 days per year. With a choice of a 5K or 10K events and a Teddy Bear Kids Run (newly introduced last year), this running event is popular with social runners and families as well as local running clubs. The fantastic feedback we receive shows our runners feel well supported by energetic marshals and a well organised, smoothly run event. Really lovely event with an interesting course, fun atmosphere and lots of friendly marshals. The course had a few sharp turns but this wasn't an issue as signage was clear and there was always a marshal there with directions. Plenty of water stations too. Would definitely recommend. Excellent family event, nice course(s) and well organised. This was the first time I have done the Samaritans Run. I was pleasantly surprised how good it was. I would DEFINITELY do it again. Car parking - excellent, chip timing, lots of friendly marshals, good course with drink stations, well signed, nice medal - all good! Great for families (children's teddy bear race). It was really fantastic - well done to the organisers and volunteers for putting on such a friendly event!" Come and join the fun! We look forward to seeing you there. Entries are now open!